Mercedes Sprinter Van for Hire – Van Hire Oswestry by Ethel’s. 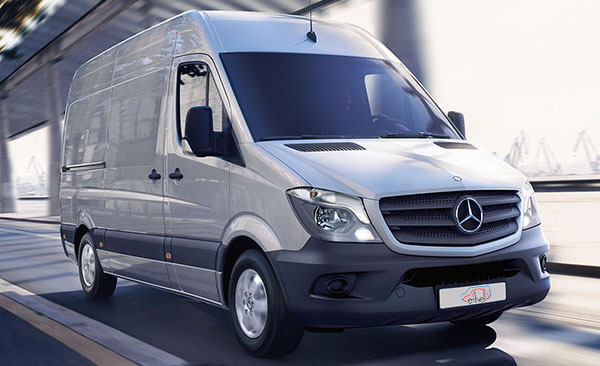 The Mercedes Sprinter 313 CDI is classed as a large sized van. It features several van firsts, including; Lane Keeping Assist, Crosswind Assist, Blind Spot Assist and High beam Assist, making the Sprinter is a pleasure to drive. This vehicle is available for either short or long term hire, For our daily rate for hire for this vehicle please see our Price List for Details), which includes Comprehensive Insurance, Breakdown Cover and.